Redesign for the Dutch non-profit organization het Lejofonds (the Lejo Foundation). They had been using their old website – which was more like a weblog – for over a year and it was time for something new. 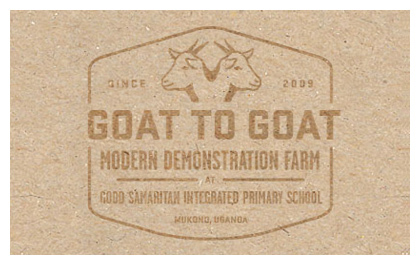 The “Goat to goat” project supports Ugandan families with disabled children or orphans. With a goat provided by the Lejo Foundation each family is able to earn money and subsequently pay their children’s school fees. The first female kid will be donated to another poor family. This snowball effect will provide a future for more and more poor children. The logo I created is already in use as part of the “Goat to goat” corporate identity in Uganda.